Carthage Avenue is the street at the front of the Norwood facility. At this time (ca. 1900) Globe-Wernicke's main plant was at their West Eight Street Works. Globe-Wernicke was described in one turn-of-the century book as "manufacturers of filing appliances, 'elastic' book cases, 'elastic' cabinets, stationers' goods, etc." 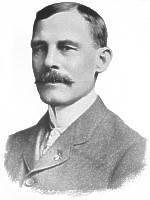 In February 9, 1882, the business started as an Ohio corporation named The Globe Files Company with George V. Nauerth as the first President. The company grew and expanded from just paper filing systems to office equipment and officially changed the name to The Globe Company in March 1887. In 1890, The Globe Company of New York was created to handle the eastern customers, while in Cincinnati, the home office and factory had to move into a seven-story building with a five-story annex. In 1896, at a cost of $36,000, Globe built a new and larger block-deep plant at 1224 West Eighth Street in Cincinnati. At the same time, they opened a sales office and show room on Walnut Street. At the end of the century, the Wernicke Company (started in 1893 in Minneapolis) of Grand Rapids was acquired and the name was changed to Globe-Wernicke. 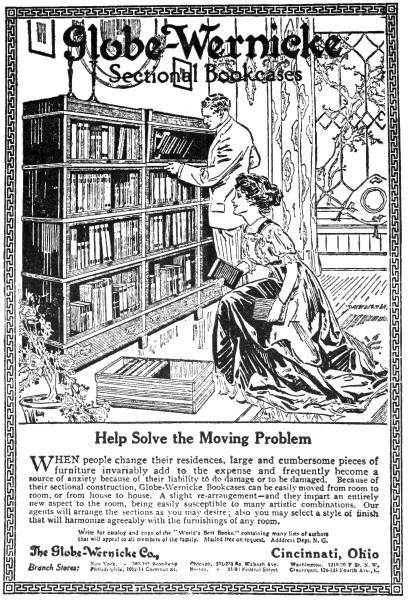 Part of the purchase was the "Wernicke System of Elastic Bookcase." To manufacture the bookcases, a new facility was needed. A 14-acre site in Norwood, on Carthage Avenue, just west of the intersection with Montgomery Road, was purchased. There a 200,000 square feet building was constructed. The Eighth Street facility was used to manufacture all the other Globe-Wernicke products. The company's export business was growing, so to meet the demands of both the foreign and domestic markets the Norwood plant had to be enlarged. In 1904, a $165,000 desk factory and $250,000 cabinet and metal works was added to the Norwood site. A steel cabinet manufacturing building and other additions were made to the Norwood facility the next year. In 1914, the Norwood plant grew again when the general offices and facilities of the old Eighth Street factory were sold. That expansion cost $400,000. More growth occurred after the end of World War I. In 1923, the Globe-Wernicke Realty Company was incorporated in Ohio, under control of the Globe-Wernicke Company, which owned all the common stock. Its purpose was to acquire majority of real estate and buildings, except factories, owned by Globe-Wernicke Company. With offices in Norwood, Ohio, the Globe-Wernicke occupied properties consisted of store buildings and warehouses in New York, Cleveland and St. Louis. In 1925, Rand Kardex Bureau, Inc. (a business incorporated Oct. 1925 in Delaware, while taking over and merging Rand Kardex, Inc. and Library Bureau) acquired control of Globe-Wernicke, which was still operated as a separate company with the existing management and stock. (Note: In 1926, Rand Kardex Bureau, Inc. took control of Safe-Cabinet Company, which had acquired the entire Norwood plant of the Victor Safe & Lock Co. in April, 1920.) In January 1927, Rand Kardex Bureau, Inc. disposed of its interest in Globe-Wernicke. This may have been the result of federal government actions against the merger, which the government claimed was an attempt to create an office equipment monopoly in odds with the Clayton Act. At the time it regained control, the Globe Wernicke Co. still owned the entire stock of Globe-Wernicke Realty Co., controlling interest in the New River Lumber Co., and had a large interest in Globe-Wernicke Co., Ltd., of London, England. During 1927, the company disposed of all its retails stores except one in Washington, D.C. and it appears that it may have reduced or disposed of its interest in the New River Lumber Co. at this time, also. In December 1928, Globe-Wenicke Co. acquired assets of Steel Equipment Corporation and in September, 1929, the assets of Unit-Steel Co. (United Steel Co.?) of Dayton, Ohio. By at least 1932, the company owned the entire capital stock of Steel Equipment Company and The Globe-Wernicke Sales Company. On October 31, 1933, the name of Steel Equipment Company was sold to Security Steel Equipment Corporation, but the other assets were kept. The Globe-Wernicke Company absorbed the Globe-Wernicke Sales Company in 1933. The receivers operated the company until July 11, 1934, when the company filed a petition in U. S. District Court at Cincinnati seeking to reorganize under the new Corporate Bankruptcy Act. At that time the court appointed the receiver Frank H. Kunkel a permanent trustee. On September 14, 1934, U. S. District Court approved the company's plan for reorganization and on October 1, 1934, all assets and liabilities of the old company were taken over by the new company. The company officers were changed with Kunkel as Chairman and J. S. Sprott, President and General Manager. The Globe-Wernicke Realty Company may have been dissolved at this time. On April 26, 1935, the company filed another petition to reorganize under Section 77-B of the Corporate Bankruptcy Act. A subsequent plan with modifications was approved on February 11, 1936. The 1940 size of the Norwood plant was 1,300,000 sq. ft. of floor space. The number was increased to 1,500,000 sq. ft. in 1941, where it remained for many years. During the World War II, 90% of Globe-Wernicke's manufacturing facility was used for wartime production. Wing flaps, nacelle doors, tail cones, troop seats, and furniture for ships were the main products. After threatening to strike in August 1944 over the suspension of two workers, the 2,200 workers finally followed through on November 2, 1944. A few days later, after the National War Labor Board (WLB)directed them back to work, the workwes voted to return. Twice, in late April and early May, 1945, the 2500 workers protested a wage cut by holding sit-down strikes. This time the workers ignored the WLB's order to return to work. By May 11, the workers called off the strike. In July 1945, 400 workers were laid off, probably as the result of decreased war work. On November 5, 1945, 1200 Globe-Wernicke employees went on strike after the company announced the end of war time "daily allowance" bonuses. The union (AFL-United Automobile) said that would mean a 25-50% reduction in wages. The next day, supervisors joined the workers in the walk-out. The workers decided to returned to work the second week of December. Things were hard in 1946, as the workers rejected a bonus plan in March, 709 workers were idled and an additional 349 laid off in April. In 1952, the company acquired the library equipment business of Angus Snead McDonald Corp. and subsidiary, Snead & Co.
By October, 1955, the company's workers struck again. In July, 1957, the company acquired Aluminum Seating Corp. of Akron, renaming it Globe-Wernicke Chair Company. In 1958, the company purchased Sheridan Manufacturing Company, Wauscon, Ohio. The Globe-Wernicke's main plant of 360,000 sq. ft. was in Toledo, Ohio, with an approximately 1,000,000 sq. ft. plant in Norwood and plants at Wauscon and Ridgeville, Ohio, and Oakland, California. The subsidiaries were Globe-Wernicke Company (Norwood), Globe-Wernicke Chair Company and Sheridan Manufacturing Company. City Auto Stamping Company, City Machine & Tool Company and Armored Plastics Company were divisions. In May 1962, the Dray Manufacturing Company, Pico Rivers, California, was acquired. By this time, the companies mentioned above as subsidiaries were still such, but to the divisions group were added Globe-Wernicke Systems Company and Dray Manufacturing Co. By 1965, the subsidiaries were Globe-Wernicke Company (Norwood), Globe-Wernicke Chair Co. and Sheridan Mfg. Co. The division were City Auto Stamping Co., City Machine & Tool Company and Armored Plastics Co., Globe-Wernicke Systems Co., Dray Mfg. Co., Globe-Wernicke Marine and Weis Manufacturing Co. According to one source, in 1963, after taking over the Weis Manufacturing Company, that business was renamed the Globe-Weis Systems Company. In July 1964, Globe-Wernicke announced that it would be moving its Norwood manufacturing to Nashville, Tennessee. Norwood Mayor Joseph W. Shea, Jr., tried unsuccessfully to persuade President Chester Devenow to not move the plant. However, the company carried through with the transfer as 400 Norwood workers lost their jobs. The company's 200 employees in the design, engineering, research and development, marketing, advertising and administrative offices were to remain in the "Cincinnati" headquarters. The manufacturing operation were transferred to Avco Corporation's Aerospace Structures Division at Nashville in an arrangement that today would be called "outsourcing." At least two papers written for NASA (one in 1967 and a second in 1971) mentioned the Avco facility's production of all the steel office furniture (except desk chairs) for sale by Globe-Wernicke. In October 1966, General Motors buys Globe-Wernicke's old Norwood property at Carthage Avenue, between Ross and West Norwood Avenues. GM razes the old Globe-Wernicke structures on the 14-acre site to use for employee parking, equipment and new car storage. October 18, 1966 � the remaining offices (about 100 employees) of the Globe-Wernicke division of Sheller-Globe moved from Norwood to the former Crosley building (then owned by Avco Corp.) at Srping Grove Avenue and Arlington Street in Cincinnai. On May 4, 1971, Sheller-Globe announced that it was selling its Globe-Wernicke office-furniture product line to Hamilton Cosco, Inc., of Columbus, Indiana. (So that is where one part of G-W ended up). Since the furniture was being outsourced to the Avco Corporation at their Nashville, Tennessee, plant, there was no loss of Globe-Wernicke or Sheller-Globe workers. The other office business products, such as office equipment and office systems would continue to be made by subsidiaries Globe-Wernicke Systems, Weis divisions and Flash Filing. At some time afterwards (one source says late 1971), Avco closed down its Globe-Wernicke Division. In 1986, Knoll International Holdings bought Sheller-Globe. In 1987, Globe-Weis was bought by the America Trading and Production Company, which began operating the old Globe-Weis business under the ATAPCO Office Products Group. On October 24, 1988, United Technologies Corporation announced that it and an investment bank was acquiring automotive parts manufacturer, the Sheller-Globe Corporation. It was stated that Sheller-Globe would coordinate with the various automotive products made by UT, but remain an independent operation. However, the business was eventually made part of United Technologies Automotive Systems. 2002 � Preliminary plans were announced for the old Norwood land on Cartage Avenue, previously occupied by Globe-Wernicke and then General Motors. The plans called for an office and retail development by Neyer to occupy the site. On Dec. 28, 2007, the R.R. Donnelley & Sons Company announced that it had completed its previously announced purchase of Cardinal Brands, Inc., a privately-owned designer, developer and manufacturer of document related business, consumer and hobby products. The acquisition agreement was announced on October 16, 2007. Adams, Cardinal and Globe-Weis were made part of TOPS Products, a business founded in Chicago in 1953 as The Trade Offset Printing Services Company, a business forms maker, and acquired by RR Donnelley in 2004. (And finally, the latest home of the last piece of the old Globe-Wernicke company). *Company had been acquired by City Auto Stamping Co. in 1955, so the number includes non-Norwood employees. ** These need to be confirmed with other sources. When people change their residences, large and cumbersome pieces of furniture invariably add to the expense and frequently become a source of anxiety because of their liability to do damage or to be damaged. Because of their sectional construction, Globe-Wernicke Bookcases can be easily moved from room to room, or from house to house. A slight re-arrangement�and they impart an entirely new aspect to the room, being easily susceptible to many artistic combinations. Our agents will arrange the sections as you may desire; also you make select a style of finish that will harmonize agreeably with the furnishings of any room. that will appeal to all members of the family. Mailed free on request. Address Dept. N. G.